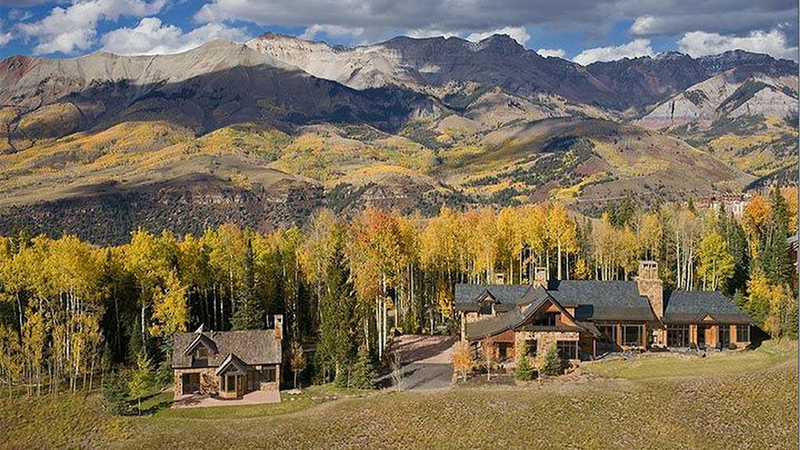 Spring Creek Ranch in Jackson Hole, Wyoming is located on a wildlife sanctuary 1,000 feet above sea level and typically offers inn rooms, townhomes, and mountain villas for rental. 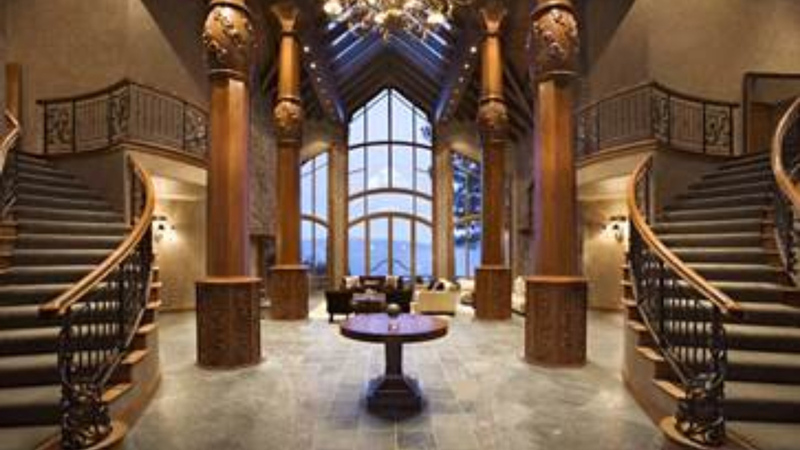 This year, for the first time ever, they will be renting their Teton View Villa. Renting for $6,000 per night with a seven night minimum, the villa can accommodate ten guests and as you can see in the picture above, supplies stunning views. The villa sits only tem minutes outside of Jackson and features very atypical Western design. 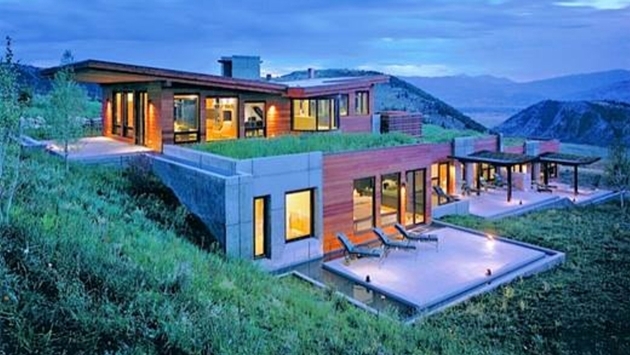 In lieu of logs, you will find concrete, glass and wood providing 360° views. Make sure to call to book directly through general manager as you will not find this private villa listed online. This isn’t your Grand Pappy’s lake house. Nineteen-Seventy is 12,000 square feet of beauty and elegance. Boating wide open spaces and literally sitting on the lake, the home features its own 145’ dock, seven bedrooms in the main house and two in the guest house. Cathedral ceilings, six fireplaces and a hot tub make this a great place to spend the holidays. You can get 18 guests into this place, with the cost running you in the neighborhood of $2,500-$11,286 per night. Really quite a bargain. Sleeping 22 in nine bedrooms and starting at only $6,000 a night, the views of the Mount Wilson Range and Palmayra peak from the property are stunning. A full chef’s kitchen awaits you with a full oven, range, and commercial-size fridge and freezer. Two hot tubs, a bar, two living rooms, and an outdoor patio with fireplace offer plenty of places to entertain or escape. There is a guest house on the property which as the website says, “would be a great place to house your pilot, nanny, chef, or just overflow guests.” Yes it would. How about something a little warmer for the holidays like let’s say in... California? 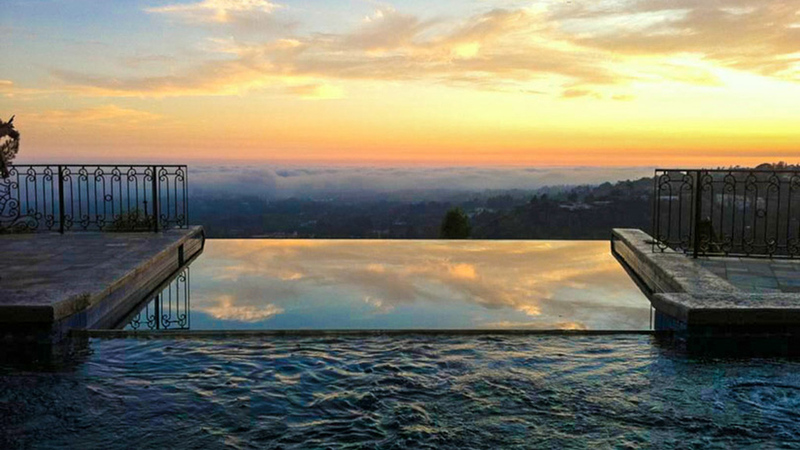 The Beverly Hills Mediterranean's 12,000 square feet overlook both the city and the ocean. If you aren’t blown away by the view, the 450-pound chandelier that greets you in the grand entranceway should be enough to wow you. It's six bedrooms sleep twelve guests, and the home is sprinkled with innovative technology like flat screen TVs, in-home gym, top-of-the line appliances in the kitchen, a media room, and a game room. Averaging $4,587-$7,995 per night with a seven night minimum, Rodeo Drive is just down the hill and the Santa Monica Beach is but 13 miles away. So you want a compound for the holidays? I have just the place: The Merv Griffin Estate. Sleeping 20 guests in ten bedrooms the estate has a 5,400 sq. ft main house, four guest casitas, two guest houses, and 20 stable barn and staff quarters. There is a private lake onsite to take out a paddle boat on. 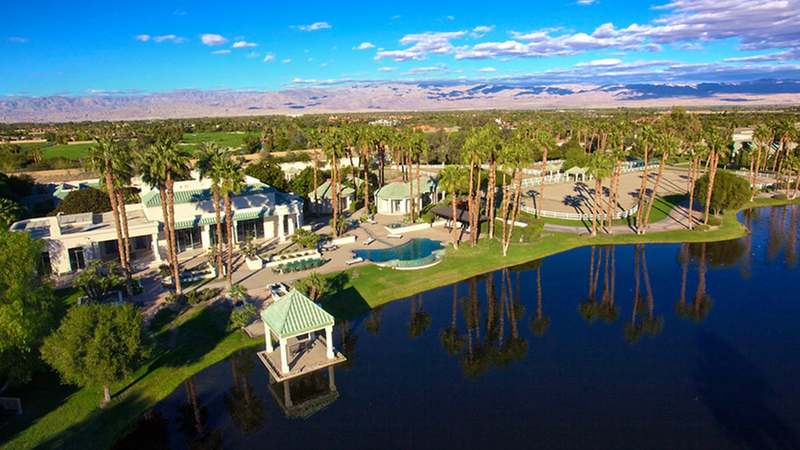 Nicknamed the “Gem of the Desert,” this getaway will have any family finding comfortable surroundings and calmness. Exactly what some of us need! These five luxury accommodations are just an example of what you could be doing with your next holiday. Or you could sleep on the pull-out couch at Grammy’s house, where the silent majesty of a winters morn; the clean, cool chill of the holiday air; and the view of the some guy emptying his chemical toilet into the sewer is at your fingertips. Your call.